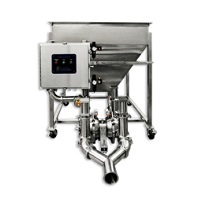 Sanitary Centrifugal & Diaphragm Pump| Waukesha, Fristam, and Murzan Pump Parts Distributor & Supplier | Lincoln Suppliers, Inc.
As a leading provider of sanitary systems to businesses involved in food & beverage production, bio-medical products, and pharmaceutical enterprises, we understand that dependable, high-quality pumps are essential to success. 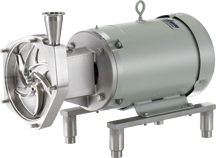 Along with our range of other sanitary supplies, we offer sanitary centrifugal pumps from top manufacturers, giving you access to some of the best products on the market. We are Fristam pump distributors as well as suppliers of sanitary diaphragm pumps. With more than four decades of knowledge, we understand which pump manufacturers consistently provide products that are both high-performing and reliable. Every brand of equipment that we stock offers products widely used by specialist operations across the country. In addition to being a provider of entire pump systems, we also supply parts needed undertake routine repairs and maintenance. As Waukesha pump distributors, we have a good selection of Waukesha pump parts on hand, as well as components for most other leading brands. Our comprehensive electronic inventory is easy to access, so if you need a part, we can quickly find it for you. Our company provides every customer with prompt, cost-effective service and top-quality products. The benefits of buying from us include: competitive pricing, exceptional product knowledge, next-day delivery, and a genuine commitment to helping our customers get the parts they need for sustainable business success. To find out more, call us now at (800) 622-8425.